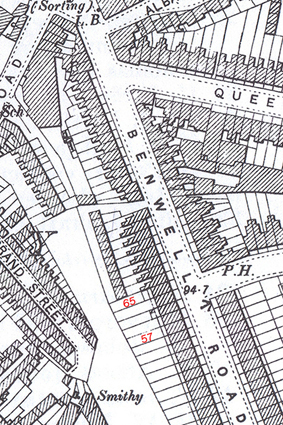 George and his family were still living at 57 Benwell Road in 1883. The photo bottom left is a pre-war back garden view of Benwell Road. 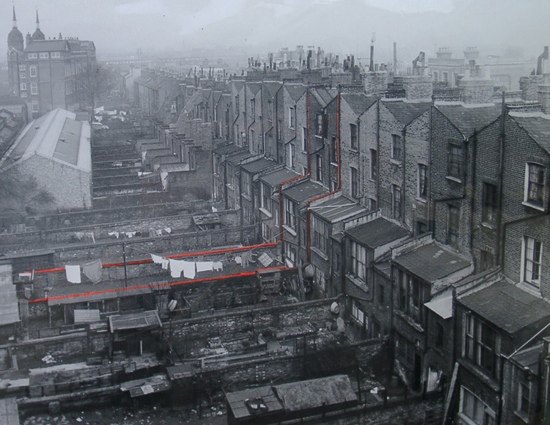 George's house is the one highlighted with red lines with the washing out in the garden. The big school in the background survives and enabled us to locate the correct house.The map is dated 1894 the school can be seen top left. Three of George and Emily's children were born in this house. Herbert's birth certificate is shown directly above.